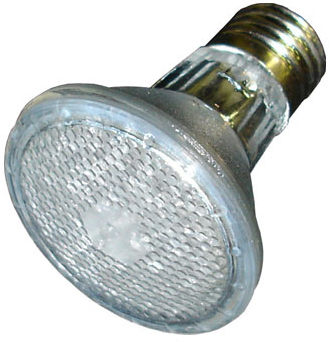 Standard medium screw based automatic color changing LED lamp. Produces virtually no heat and uses minimal electricity. 110V, 3W.